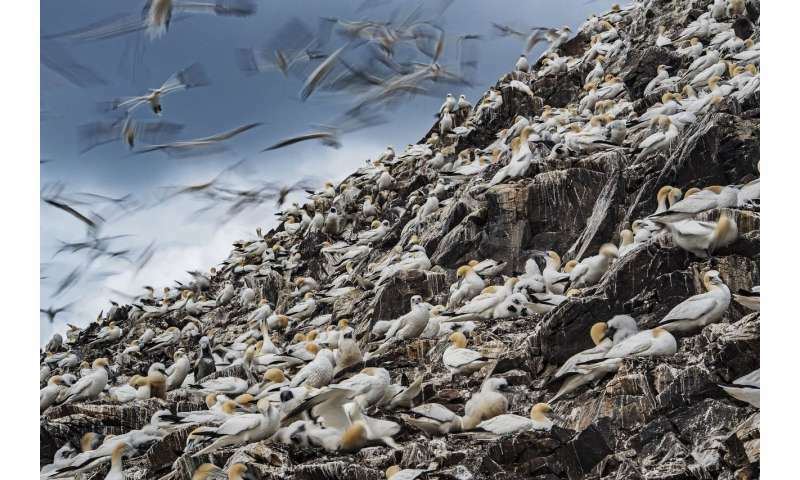 Long-lived seabird species, such as gannets, take several years to learn where the best feeding grounds are and how to recognise them, new research has revealed. Mini GPS trackers, attached to the birds by ecologists at the Universities of St Andrews and Leeds, have uncovered key differences in how birds of different ages are able to target the best feeding zones. 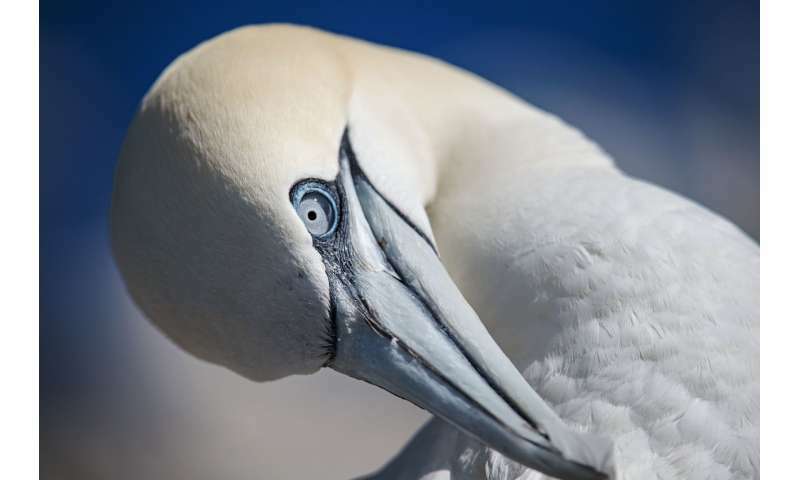 The research, published today in the Journal of The Royal Society Interface, discovered that, while adult birds repeatedly targeted specific areas associated with oceanographic fronts, immature gannets ranged more widely and exhibited a limited response to these frontal areas. "Marine predators such as seabirds may travel hundreds or thousands of kilometres to find food, but how they learn to locate prey patches in the open ocean has always remained a mystery. 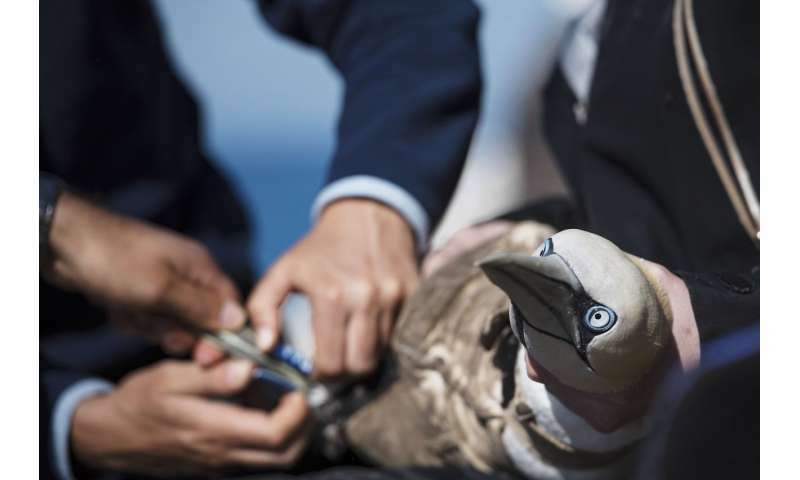 "To solve the mystery, we used miniaturised GPS devices to track the foraging behaviour of adult and immature gannets in the North Sea. We found that older birds were better at finding good food sources and targeting them repeatedly, indicating that they use their comparatively long immature stage to learn where the best feeding grounds are." In the marine environment, oceanographic fronts occur where different bodies of water meet. These areas typically have strong gradients in temperature or salinity and often form visible lines on the sea surface. Previous studies have highlighted their importance as foraging areas for many marine predators, including seabirds, whales, seals and sea turtles, as the fronts aggregate marine plankton and fish shoals. "The results of our study provide crucial information on how seabirds efficiently locate and exploit patchy food resources vital to their survival and long-term fitness. The time taken for individuals to learn how to recognise good foraging sites and where they're likely to occur probably goes a long way to explaining why seabirds and other long-lived predators don't start breeding until they're several years old. "Differences in the foraging ranges of adults and immature birds may also mean they face different levels of risk at sea, for instance from collision with offshore wind turbines, which we're now investigating further." This study investigated age-related differences in the foraging behaviour of adult (over five years old) and immature (aged two to four years) northern gannets (Morus bassanus). Using high-resolution GPS-loggers, the team found that adults have a much narrower foraging distribution than immature birds and much greater fidelity to individual foraging sites. The results indicate that adult gannets are more proficient foragers than immatures, supporting the hypothesis that foraging specialisations are learned during individual exploratory behaviour in early life. Such memory-based individual foraging strategies may also explain the extended period of immaturity observed in gannets and many other long-lived species.